I learned that anything is possible! Days are counting down and Akela 2016 is around the corner. 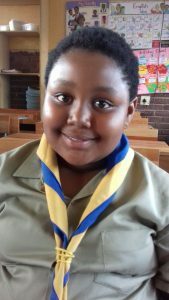 We spoke to Amukekimi Zulu (9) from 1st Sandzile Cub Pack in Mpumalanga about why Cubbing is really so special. Cubbing is great because we do fun activities! My best experience was when I learned that anything is possible! The toughest challenge at Cubs was the morning exercise. The most amazing place we visited was Justes Farm. I learnt how to light a match. We cleaned the school yard. So we helped people in our community! I taught my mum about compass directions. A good Akela always counts on us. 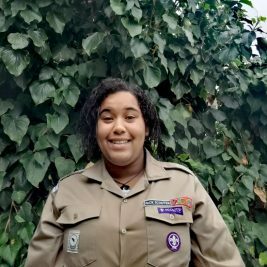 My Akela is special because she is my Akela! Cubbing Rocks because … we learn lots of things at the same time. Building things using natural items is the best!